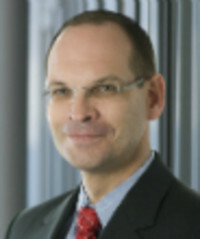 Dr. Karl-Josef Kallen holds an MD from the RWTH Aachen, Germany, and a PhD in Cell Biology from University College London. He received his education in internal medicine and oncology at the I. Medizinische Klinik of Mainz University and is a board certified internist. Kajo has a strong basic science background in Biophysics, Cell Biology and Molecular Immunology and completed a Habilitation in Biochemistry at the Christian-Albrechts University in Kiel. At Merck-Serono, he was involved in the clinical development of cetuximab in Japan and after his promotion to Senior Medical Director was responsible for the global clinical development of the Cancer Immunotherapy portfolio of Merck-Serono. He is a member of several international working groups that develop new paradigms for the clinical development of cancer vaccines and immunotherapies. He received extensive management education from MIT Sloan School of Management and London Business School.